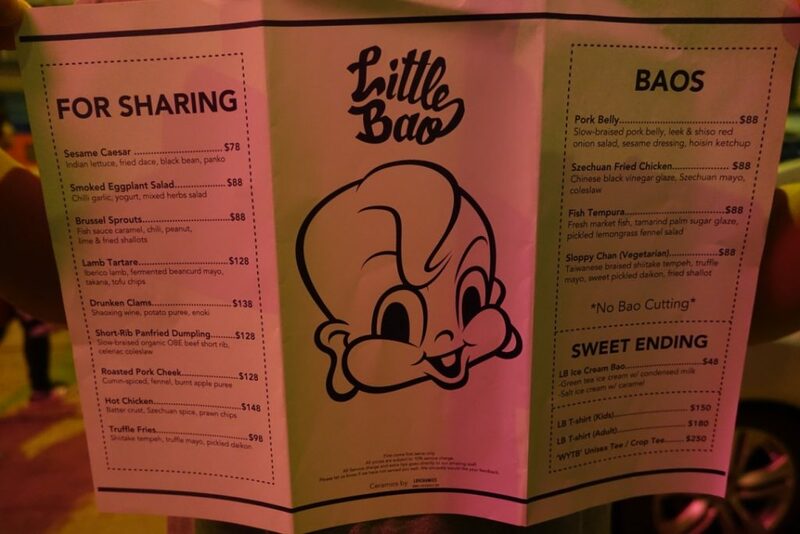 Little Bao HK – It Was Worth The Wait! After 3 years of waiting, I finally made it to May Chow’s Little Bao in the Central Part of Hong Kong. 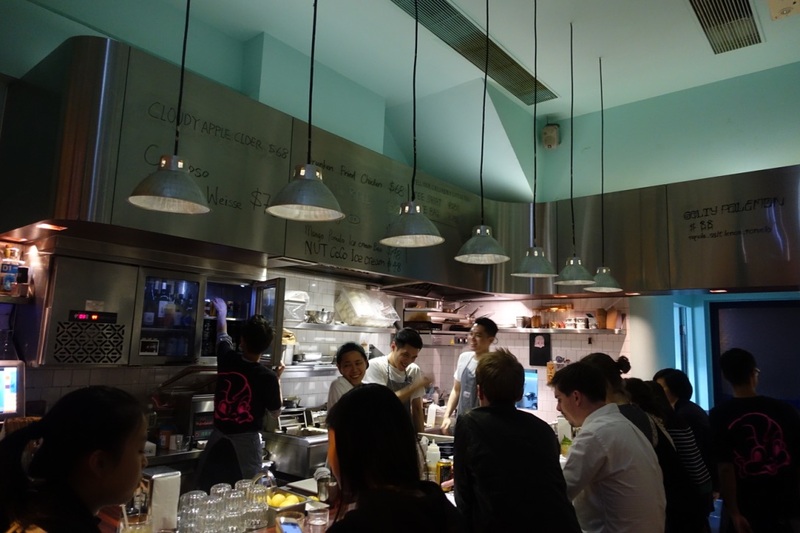 She is a modern pioneer of the culinary world by meshing together an American Diner style with a modern Asian twist. It doesn’t stop there though, as there is heaps of fine dining technique in her drool-worthy cooking, with inspiration from all over the world. 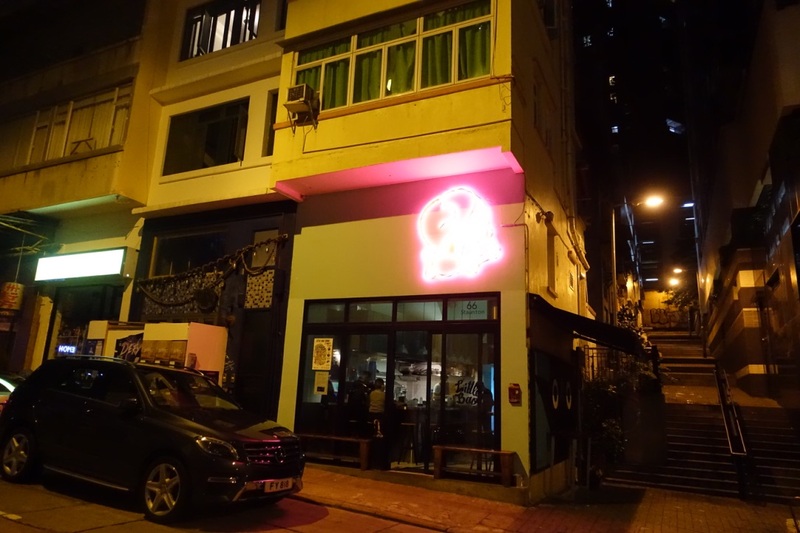 The venue itself is teeny, an open kitchen affair that seats 20 or so people, with cha chaan teng tiling, bold colours, stainless steel tops, with wooden stools for seating. 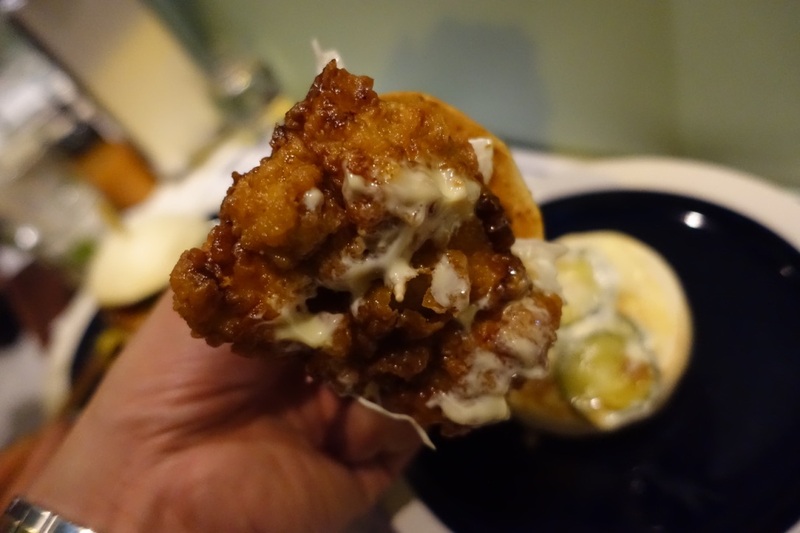 I wrote about her food previously whilst she “popped up” in London in September 2015 and was smitten straight away when I ate her food. 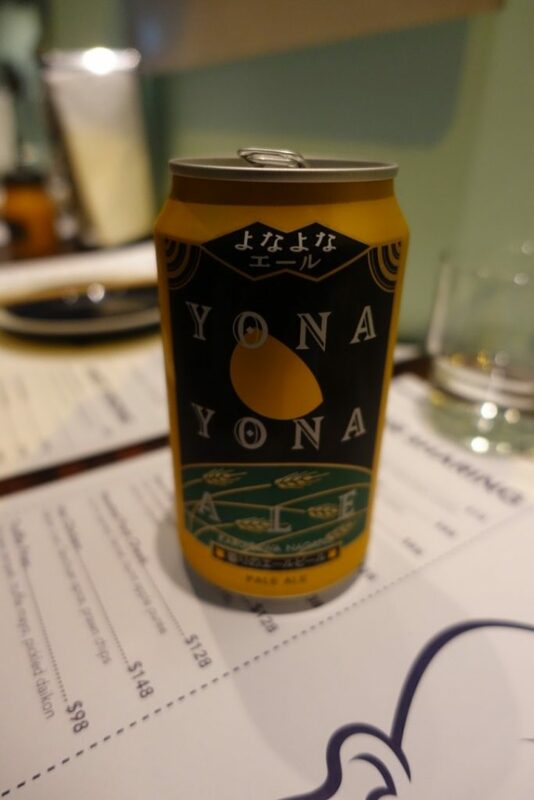 We kicked off with a lovely Yona Yona $68 American pale ale brewed in Japan. 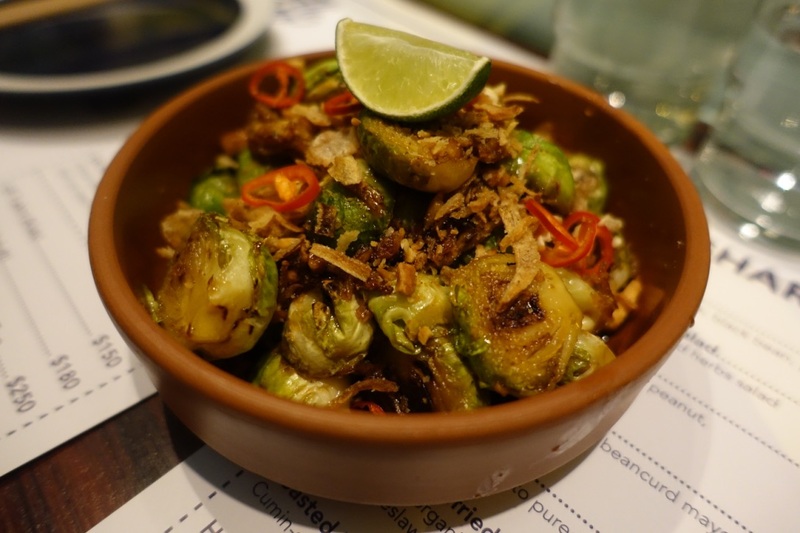 I remember having these game changing brussel sprouts in London at their pop-up and was instantly addicted. 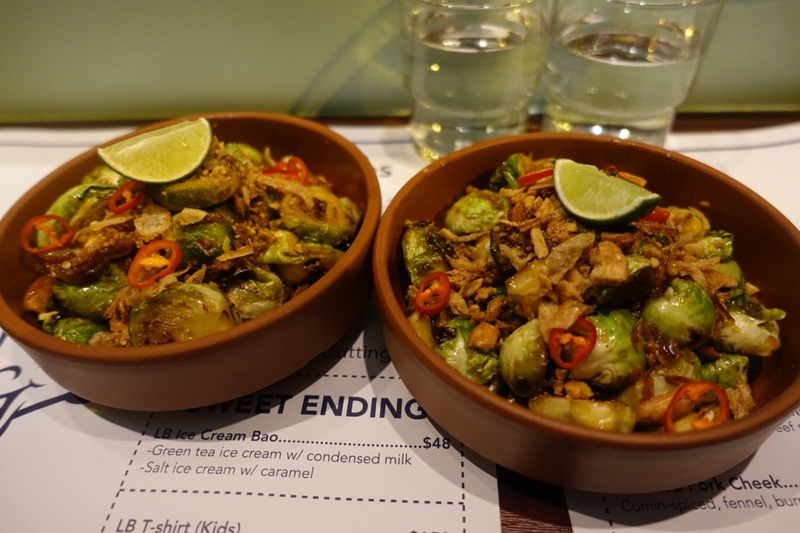 They came with fish sauce caramel, chilli, peanut lime and fried shallots $88. They were so good, we wanted to hold onto the flavour and ordered two! 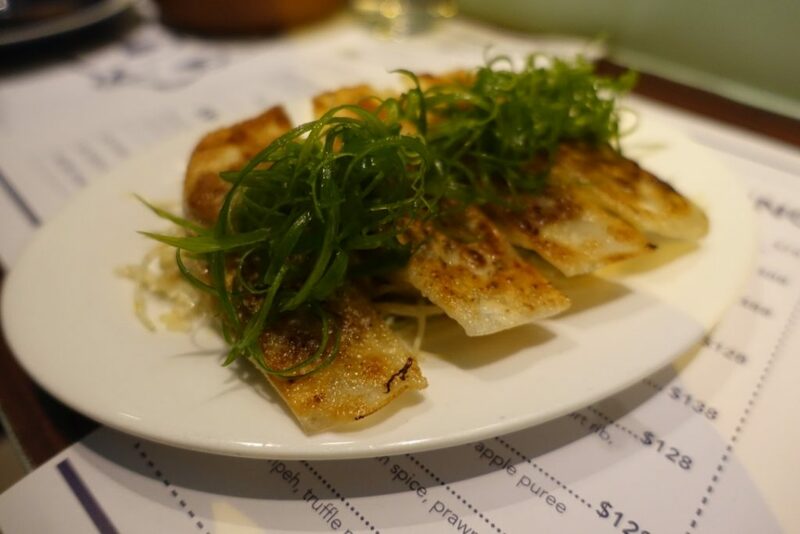 The slow braised organic short rib pan fried dumpling $128, had all the lovely deep beefy flavours that any carnivore would be inspired by. 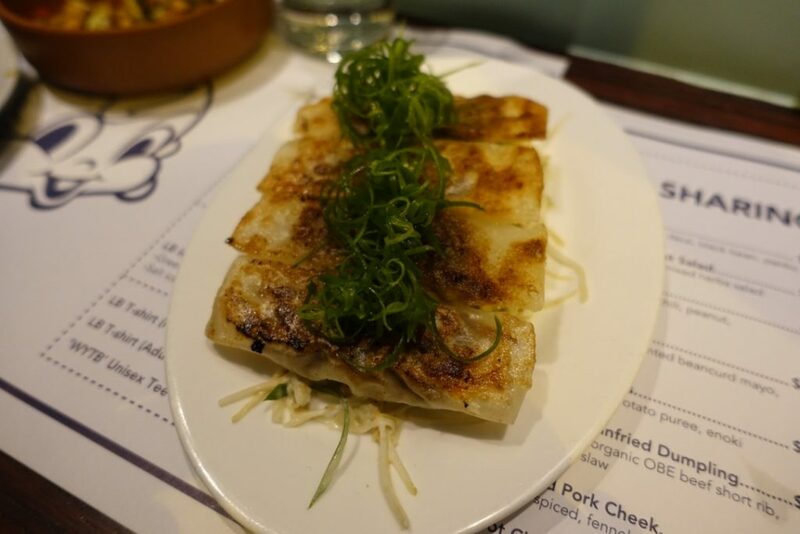 The slaw and julienne spring onions gave the bite and the fresh lift. 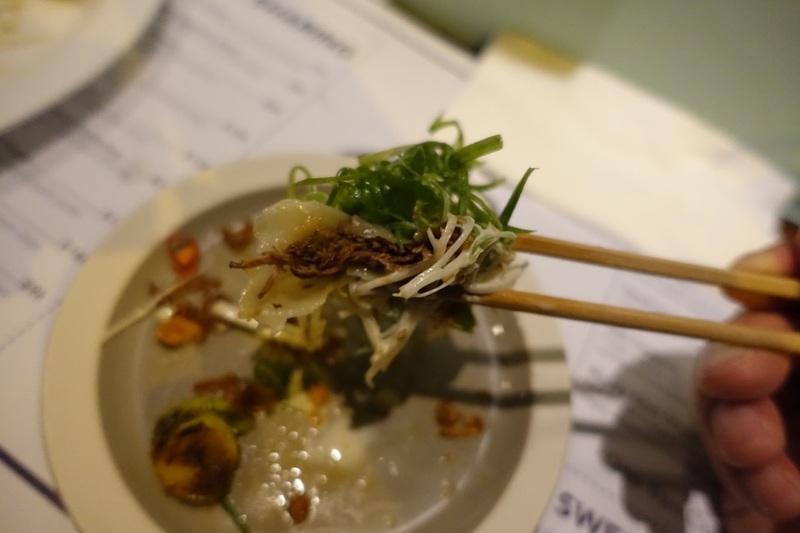 Have you had short rib in a pot sticker before? Nah me neither until now. 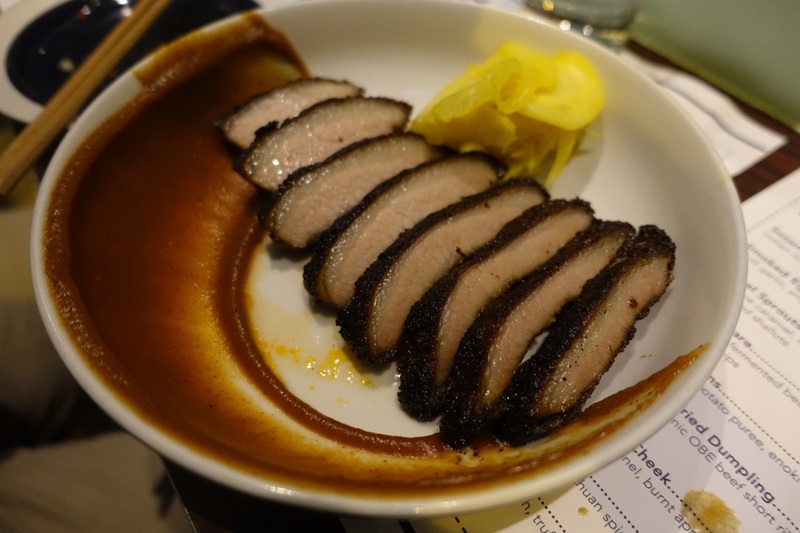 Cumin spiced, dark roasted pork cheek $128, was brimming with flavour too, especially with the sweet fennel and burnt apple purée it came with. 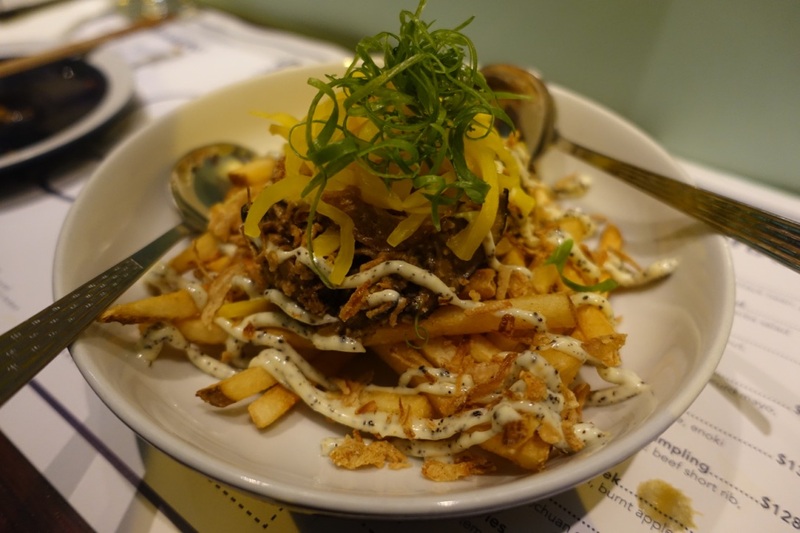 Truffle fries with shiitake tempeh (fermented Indonesian soy beans) with truffled mayo & pickled daikon $98, was a poutine with wow factor, it had everything your mouth could want. Simply delicious. 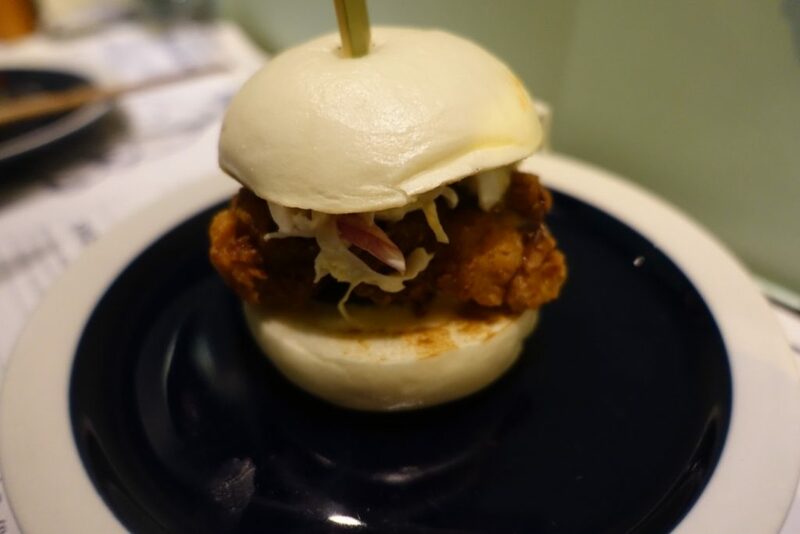 First up from the bao we had Szechuan fried chicken $88 with thick Chinese black vinegar glaze, Szechuan mayo and slaw. 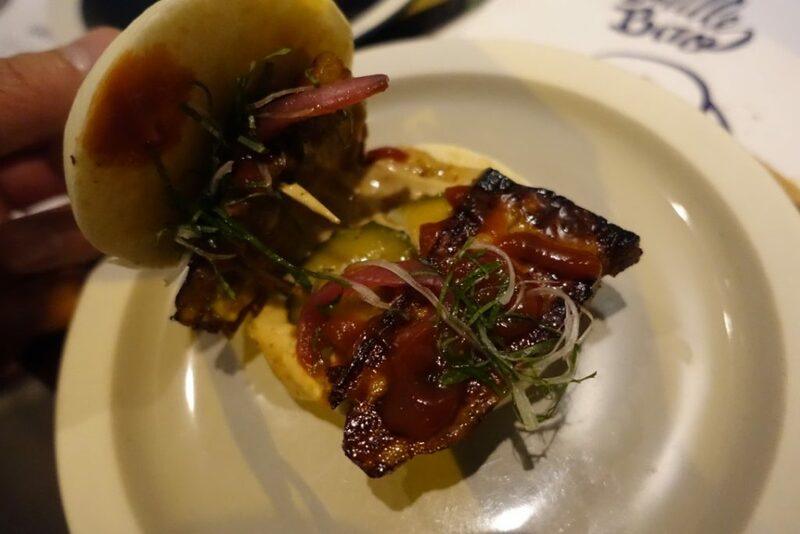 It was another stunning collection of flavours and textures. 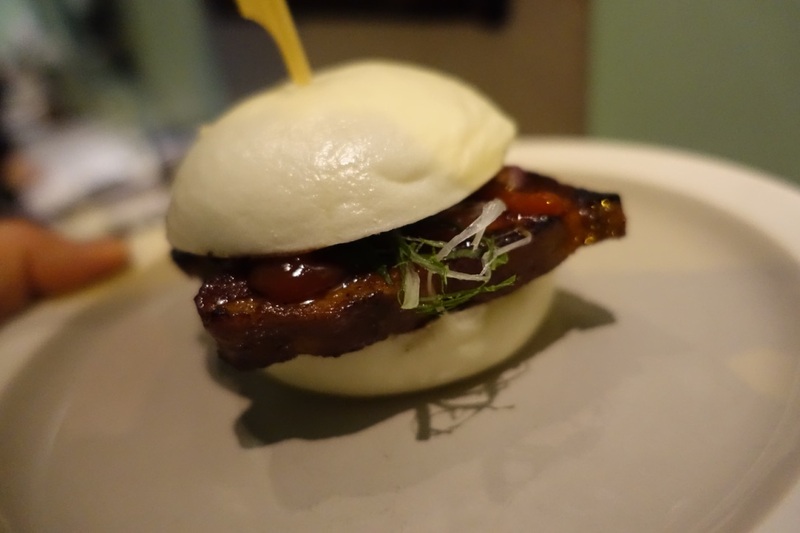 Next up we had slow cooked pork belly bao, leek and shiso red onion salad, sesame dressing, hoisin ketchup $88. The new combination of flavours galvanises your mind and taste buds for a special treat. 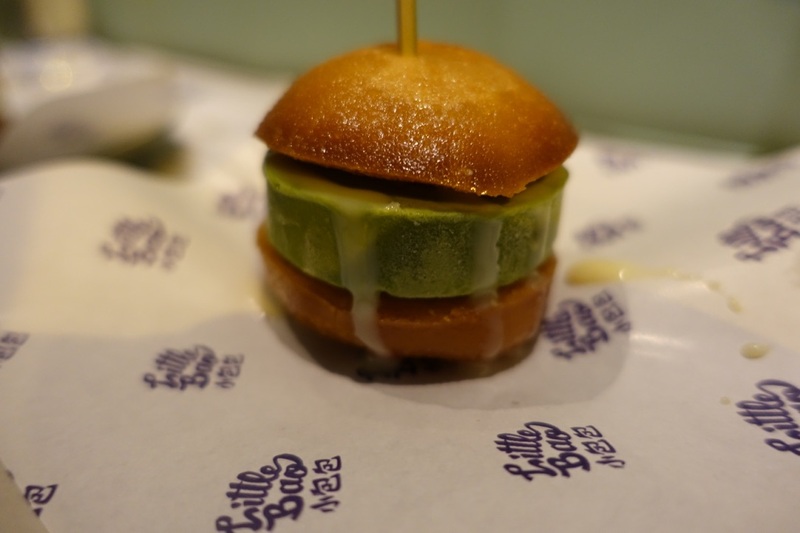 The sweet endings started with green tea ice cream with condensed milk, along with salt ice cream and caramel, sandwiched with fried sweet bao ($48). Come on, what is there not to like! 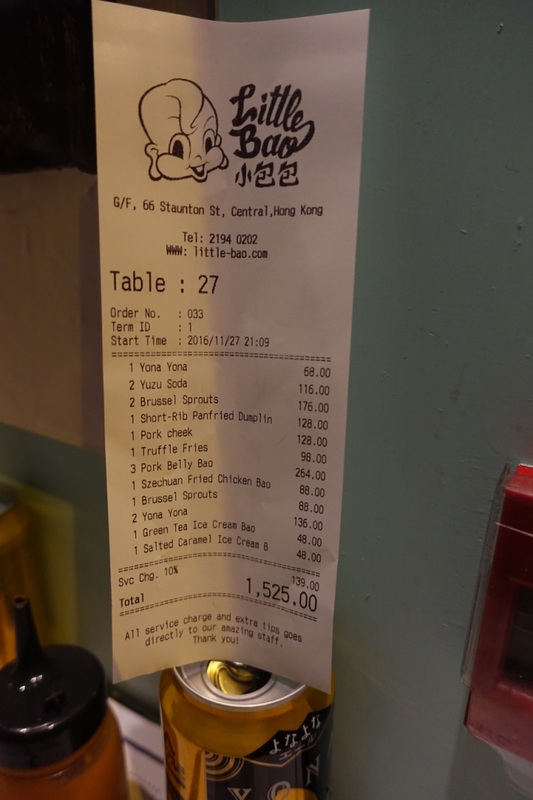 The damage: $500ish per head with drinks (£45ish). The good: Little Bao delivers fun, delectable, easy to eat, fascinating food that makes you want to go back for more. The collection of flavours can be easily called unique in my humble opinion and we didn’t have a single bad thing to eat. The bad: Not that much to be fair, apart the lightless toilets!